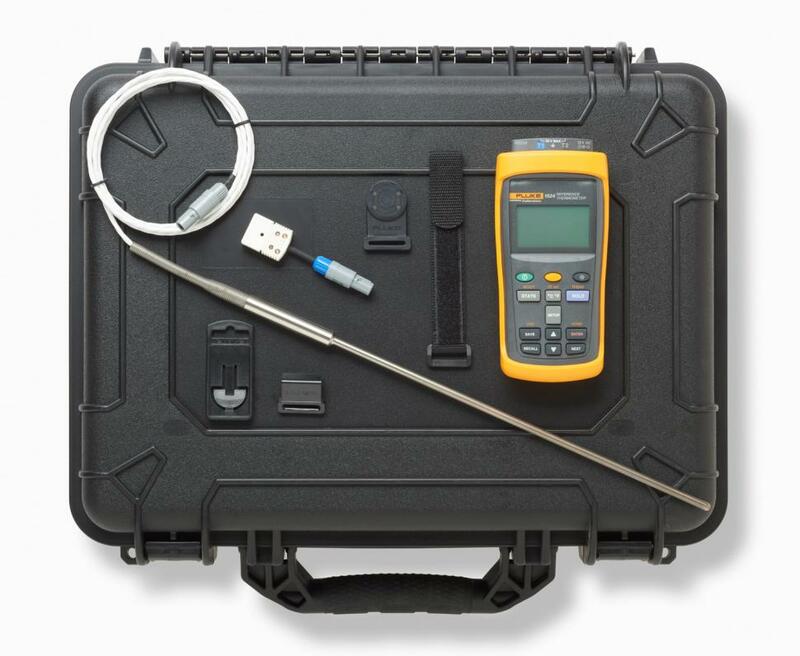 The Fluke 1523 and Fluke 1524 let you handle field applications, laboratory measurements, and data logging with ease. 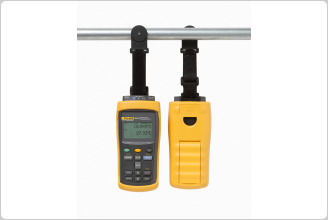 And with the dual channel measurement capabilities of the model Fluke 1524, you can do twice the work in half the time. You need accuracy for compliance, product yields, energy savings, and consistent results. 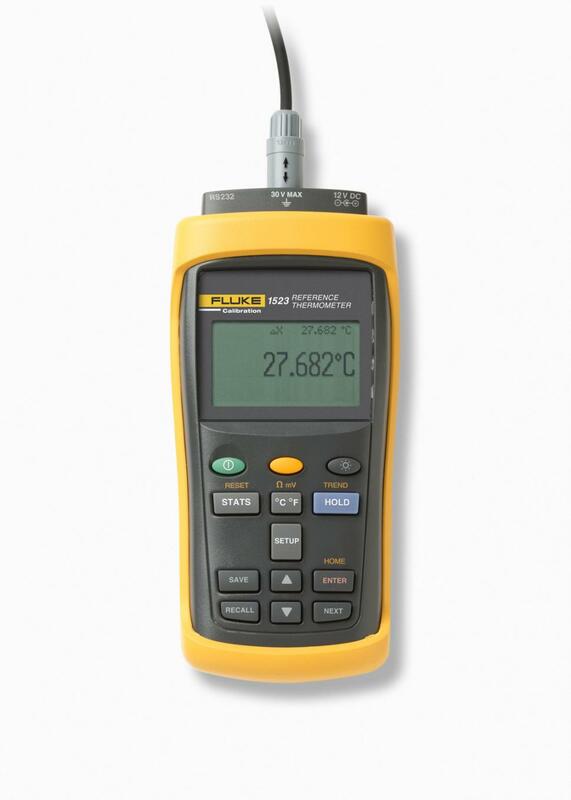 The Fluke 1523 and Fluke 1524 use current reversal, a technique used in high-end instruments that eliminates thermal EMFs, for precision temperature measurements. Specifications are guaranteed from -10 ºC to 60 ºC ambient. Special precision resistors and a highly stable reference voltage source keep 1523/24 accuracy virtually insensitive to environmental temperature. 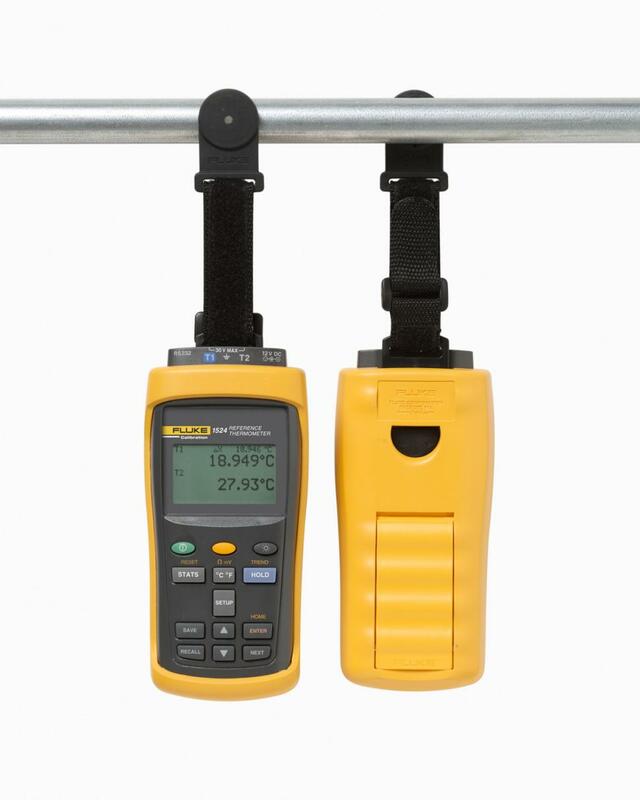 Like all Fluke handheld tools, the 1523 and 1524 Reference Thermometers endure rigorous testing in temperature extremes and under harsh conditions of vibration, so you can take them anywhere you need to go. 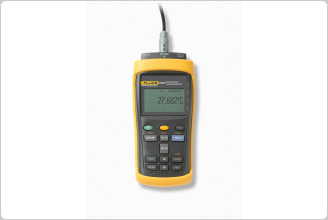 See trends graphically on the 1523 and 1524 thermometers' 128x64-backlit LCD display. You can change the graph’s resolution at the touch of a button. Now it’s easy to see when the temperature is stable, without statistics or long delays, or monitor processes over time to verify correct operation. The 1524 Reference Thermometers help you do twice the work in half the time. Two channels and three sensor types and high-speed measurement make you more productive and make model 1524 the one reference thermometer you need to own. It has all the features of the 1523, and it’s a temperature logger too. A real-time clock and memory for 15,000 time and date stamped measurements mean everything you are going to need is in this package. Log up to three times per second, or once every hour or other options in between. 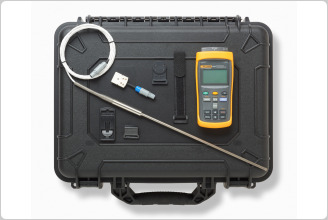 Download the temperature logger data to a PC for analysis when you need it. Calibration, loop checking, plant startup, troubleshooting, maintenance, and repair are some of the varied duties that need a 1523 or 1524 thermometer. Use it for a handy temperature reference and temperature logger in baths, dry-block calibrators, thermowells, clean rooms, engines, heat exchangers, furnaces, freezers, or anything else that must be calibrated, checked, or maintained. Accuracies are based on internal Reference Junction Compensation. Refer to Technical manual for equivalent accuracies with an external reference junction.